DAD. ME SORRY ME SMASH YOU. YOU AM NOW CLOUD -- WHY??? If you were on Twitter, I would totally suggest following Drunk Hulk! Wait, wait! 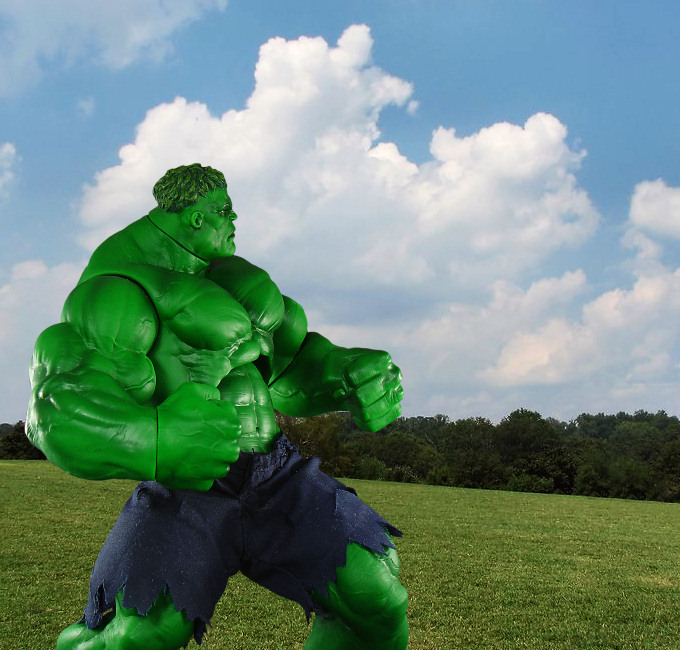 I also meant to say I like the background in this shot and how Hulk is looking up at the clouds!